Last time I was there, I ate lunch at a café table next to Michael Douglas and a beautiful model. I watched a very young and shy Isabelle Adjani being interviewed in the lobby of the Carlton Hotel. I gaped at a rather large Shelley Winters, a faded beauty who still radiated charm, sunbathing on the meticulously raked sand. Yes, that was Cannes in 1975—the film festival, that is. Returning this year, I found the Festival to be a whole new world: extensive at 27,000 attendees, multi-cultural in its audience and offerings, more extravagant than ever in its private parties, more exclusive than ever in its accreditations. 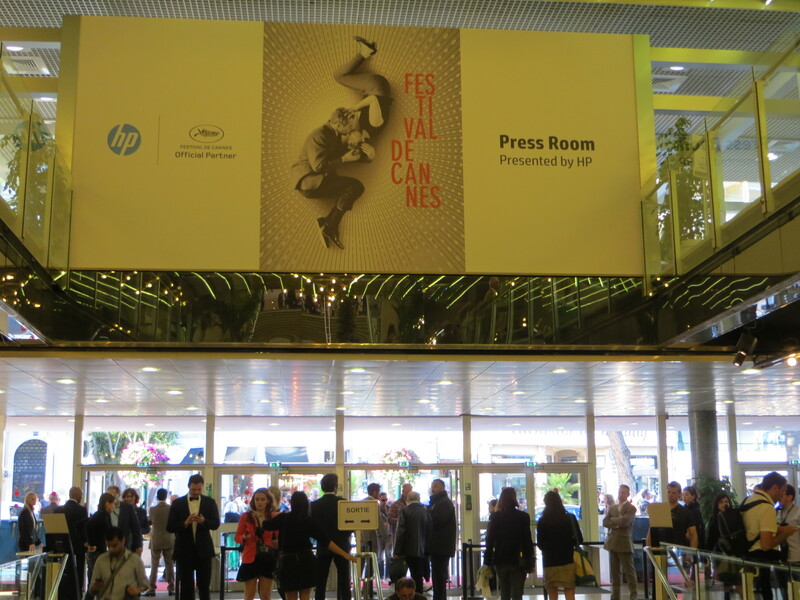 The Cannes Film Festival is the number one film industry event of the year, ahead of Sundance, Toronto, Berlin, and Venice. Reserved for professionals, it is a unique glimpse on the world of the 7th art—from the creative and production aspects to the finance and business angles. With special permission to develop an educational program focused on the Festival, I sported my accreditation badge and was given access to the off-limits-to-the-public Palais des Festivals, to the many screenings on offer through the main competition and all the side-competitions (“Un Certain Regard”, La Quinzaine des Réalisateurs, and La Semaine des Critiques), to the International Village housing tented pavilions for most countries on Earth and to the award ceremonies for each category. What a thrill! I sat in the seat in front of Max Von Sydow during the screening of a restored version of The Desert of Tartars. Richard Dreyfus spoke to us about his first film ever. Forest Whitaker came to the stage at an award ceremony to support a protégé who won an award. Zhang Ziyi (Crouching Tiger and House of Flying Daggers star) presented an award as a member of a jury. In screenings, I sat within seats of Alexander Payne (director of Sideways and The Descendants) and James Franco. And then there were the impromptu encounters: Mariel Hemingway came right out of a store into my path, panicking that she had lost a ring. Squeezing past a throng of people, I found myself behind Kim Novak as she was whisked into a car. The real thrill came when the three teenage actors of La Jaula d’Oro (http://www.imdb.com/title/tt2042583/), a superb Mexican movie about an ill-fated journey from the slums of a Guatemalan village to Los Angeles, won the Un Certain Regard Prize for best talent. There stood the heroes of this tragic tale—from shanty town escapees to black-tie attendees–accepting awards from cinema luminaries on a light-flooded stage. My heart filled with pride for their accomplishment! My heroes from La Jaula de Oro! 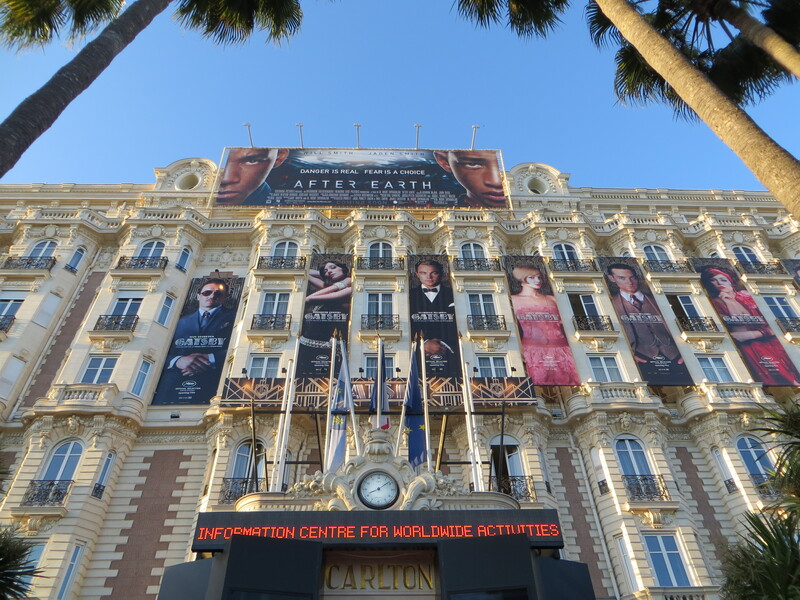 Cannes is a glamorous backdrop for the festival. La Croisette, the main promenade along the Mediterranean, sparkles with elegant party venues. The grand dame hotels like the Carlton and the Martinez percolate with stars coming and going, while security is at an all-time high. The International Village lines the sea behind the Palais, looking like a lavish medieval encampment with flags of many nations flapping over tented peaks. Here each country hosts film buyers, producers, directors and aspiring filmmakers for information sessions, private cocktail parties and happy hours on their individual seaside terraces. If there is one thing I found most surprising about my experience in Cannes, it is the nature of the attendees. As a non-professional, I expected I would find vanity and pretention in ample quantity. 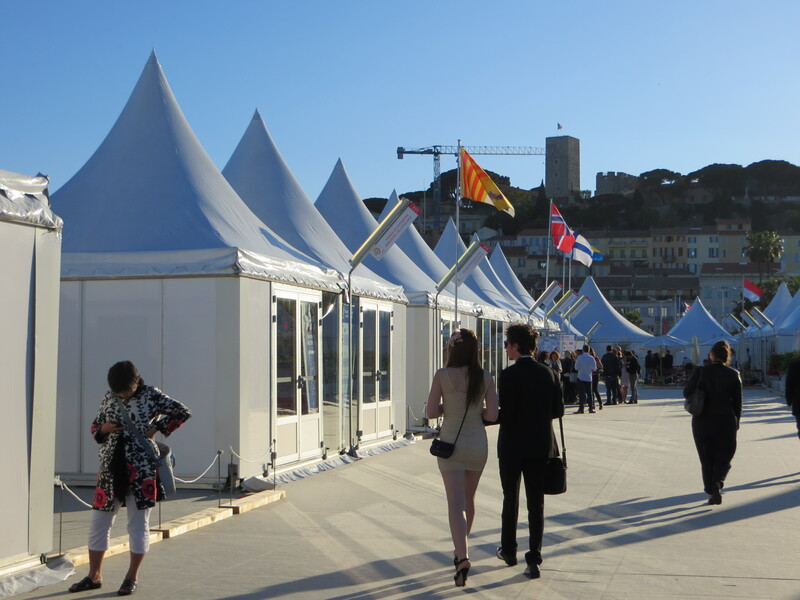 Instead, as I stood in line for screenings or visited the various international pavilions, I met one person after another whose modesty, forthrightness and genuine enthusiasm for their work impressed me and made me fall in love with Cannes and its Festival all over again. 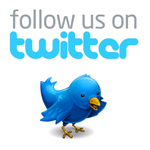 ← Cuba: What Does it Say About our Country?